Parents worry about BPA in plastics and chemicals in food, but when it comes to children’s health, the real toxin is parental stress. Research shows that children can “catch” their parents’ stress just like they catch a virus, soaking up the stress that pervades a household until their developing nervous systems reach “overload.” Then kids act-out, or get sick. Author David Code explains the medical research showing how parental stress is a major risk factor in today’s epidemic of child health problems, from allergies and obesity to ADHD, asthma, and sensory disorders. A book to share with every family you know, Optimistic Parenting helps moms, dads, and other caregivers develop more positive thoughts and perceptions – a key ingredient of successful parenting and effective behavior management. Dr. V. Mark Durand delivers both philosophical hope and practical help to parents of children with a wide range of challenges. Children's social, emotional, and physical health; their developmental trajectory; and the neurocircuits that are being created and reinforced in their developing brains are all directly influenced by their relationships during early childhood. This statement recommends opportunities for pediatricians to develop their expertise in assessing the strengths and stresses in families and in counseling families about strategies and resources. Advances in a wide range of biological, behavioral, and social sciences are expanding our understanding of how early environmental influences (the ecology) and genetic predispositions (the biologic program) affect learning capacities, adaptive behaviors, lifelong physical and mental health, and adult productivity. A supporting technical report from the American Academy of Pediatrics (AAP) presents an integrated ecobiodevelopmental framework to assist in translating these dramatic advances in developmental science into improved health across the life span. Ryan-krause, P., Measdows-Oliver, M., Sadler, L., Swartz, M.K. Descriptive study compared adolescent mothers’ subjective perceptions of their children’s development with objective developmental assessments. On the Bayley Scales of Infant Development (BSID), group mean scores all fell within the normal range. However, almost 20% of individual children had one or more delays. Almost 73% of mothers accurately assessed their children’s development on the (A&SQ) when compared to BSID results. Eighteen percent of mothers suspected delays when there were none objectively identified. Savio Beers, L.A., Hollo, R. E.
For many teen parents, various environmental and behavioral risks contributed to early childbearing and parenting. Following delivery of the infant, many of these same psycho-social, environmental, and educational factors continue to play a role in the teen's ability to parent effectively. This review explores these factors in relation to teen parenting as well as describes the limited data available on outcomes of adolescent mothers and their infants. 5-HTTLPR Status Moderates the effect of early adolescent substance use on risky sexual behavior. Kogan, S.M., Beach, S.R., Philibert, R.A., Brody, G.H., Chen, Y.F., Lei, M.K. A longitudinal, prospective design was used to investigate a moderation effect in the association between early adolescent substance use and risky sexual behavior 2 years later. A genetic vulnerability factor, a variable nucleotide repeat polymorphism (VNTR) in the promoter region of the serotonin transporter gene SLC6A4, known as 5-HTTLPR, was hypothesized to moderate the link between substance use at age 14 and risky sexual behavior at age 16. This VNTR has been associated with risk-taking behavior. Shonkoff, J.P., Boyce, T.W., McEwen, B.S. Advances in developmental biology are building an increasingly persuasive case for a new way of thinking about health promotion and disease prevention that focuses on the origins of persistent disparities in morbidity and mortality in the early years of life. Central to this framework is an increasing interest in the extent to which early experiences and exposures are biologically embedded and have lifelong consequences. Shonkoff, J.P., Garner, A. S.
This report presents an ecobiodevelopmental framework that illustrates how early experiences and environmental influences can leave a lasting signature on the genetic predispositions that affect emerging brain architecture and long-term health. The report also examines extensive evidence of the disruptive impacts of toxic stress, offering intriguing insights into causal mechanisms that link early adversity to later impairments in learning, behavior, and both physical and mental well-being. Anda, R.F., Dong, M., Brown, D.W., Felitti, V.J., Giles, W.H., Perry, G.S.,…Dube, S.R. First, adverse childhood experiences (ACE) are incredibly common. Nearly 67% of the study population had experienced at least one ACE, and 12.6% had experienced four or more. Second, there was a dose-response relationship between ACEs and health problems later on. That means that the higher the ACEs score, the worse the health outcomes are later in life. A person with four or more ACEs has a relative risk of chronic obstructive pulmonary disease (COPD) that is an astonishing 260% of the risk for someone with no ACEs—more than two-and-a-half times the risk. For hepatitis, it was 250% of the risk; for depression it was 460%. If a patient had seven or more ACEs, their relative risk of ischemic heart disease, the number one killer in the United States, was 360%—more than three-and-a-half times the risk of someone who had never undergone adverse childhood experiences. Felitti, V.J., Anda, R.F., Nordenberg, D., Williamson, D.F., Spitz, A.M., Edwards, V., Koss, M.P., Marks, J.S. We undertook the Adverse Childhood Experiences (ACE) Study in a primary care setting to describe the long-term relationship of childhood experiences to important medical and public health problems. The ACE Study is assessing, retrospectively and prospectively, the long-term impact of abuse and household dysfunction during childhood on the following outcomes in adults: disease risk factors and incidence, quality of life, health care utilization, and mortality. In this initial paper we use baseline data from the study to provide an overview of the prevalence and interrelation of exposures to childhood abuse and household dysfunction. This report presents an ecobiodevelopmental framework that illustrates how early experiences and environmental influences can leave a lasting signature on the genetic predispositions that affect emerging brain architecture and long-term health. The report also examines extensive evidence of the disruptive impacts of toxic stress, offering intriguing insights into causal mechanisms that link early adversity to later impairments in learning, behavior, and both physical and mental well-being. It calls for pediatricians to serve as both front-line guardians of healthy child development and strategically positioned, community leaders to inform new science-based strategies that build strong foundations for educational achievement, economic productivity, responsible citizenship, and lifelong health. Addressing Mental Health Concerns in Primary Care brings together a myriad of ready-to-use resources and tools on one instant-access CD-ROM. Look here for screening and assessment instruments, quick-reference care management advice, step-by-step care plans, time-saving documentation and referral tools, coding aids, billing and payment tips, parent handouts, community resource guides, and much more. In the book, Understanding early childhood mental health: a practical guide for professionals. Integrating infant mental health service into early education programs leads to better child outcomes and stronger parent-child relationships – the big question is how to do it appropriately and effectively. Ideal for in-service professional development and program administrators, this introductory text combines the authoritative guidance of more than a dozen respected mental health and early childhood experts. Brandt, K., Perry, B.D., Seligman, S., Tronick, E.
The editors of Infant and Early Childhood Mental Health: Core Concepts and Clinical Practice have assembled a comprehensive, theoretically insightful, and clinically useful volume for psychiatrists, psychologists, nurses, pediatricians, social workers, psychotherapists, and all other providers serving children and families from pregnancy through age 5. The book covers concepts from the nature of infant emotional and brain development to the practice of neurologically and relationally based therapies, and explores topics from child trauma to autism spectrum disorders. Stroud, B., & Morgan, M.M. This publication provides information regarding common physical ailments that occur with greater frequency in the severely mentally ill population, documents screening/monitoring recommendations for these physical health issues, provides guidelines regarding management of pregnant/lactating women, and explores potential barriers that may adversely affect healthcare delivery as well as treatment adherence in this population. Screening for autism spectrum disorders in infants before 18 months of age. The purpose of this article is to identify key developmental tasks that can be assessed by pediatric primary care providers to determine increased risk for Autism Spectrum Disorders (ASD) in infants at 9, 12, and 15 months prior to formal screening for ASD at 18 and 24 months. This list of developmental screenings and assessment instruments was gathered through a review of infant mental health literature. Disabilities coordinators may use this information to address multiple developmental and social-emotional domains. The list includes a description, the age range for which the instrument was validated, and the scoring procedure. Common features of successful programs include: maximizing efficiencies through shared resources, leveraging and partnering with other organizations, in-depth involvement with pediatric practice staff, appropriate training and tools, flexible program design, measurement and evaluation, and a holistic approach to care. Treadwell, J., Perez, R., Stubbs, D., McAllister, J.W., Stern, S., Buzi, R.
A resource for health professionals on case management and care coordination, and how that might impact their work with children and families. Helping families who live in environments with multiple risk factors – including poverty, domestic violence, teen parenthood, mental illness, and substance abuse – requires that professionals and paraprofessionals work together to provide the best possible interventions. 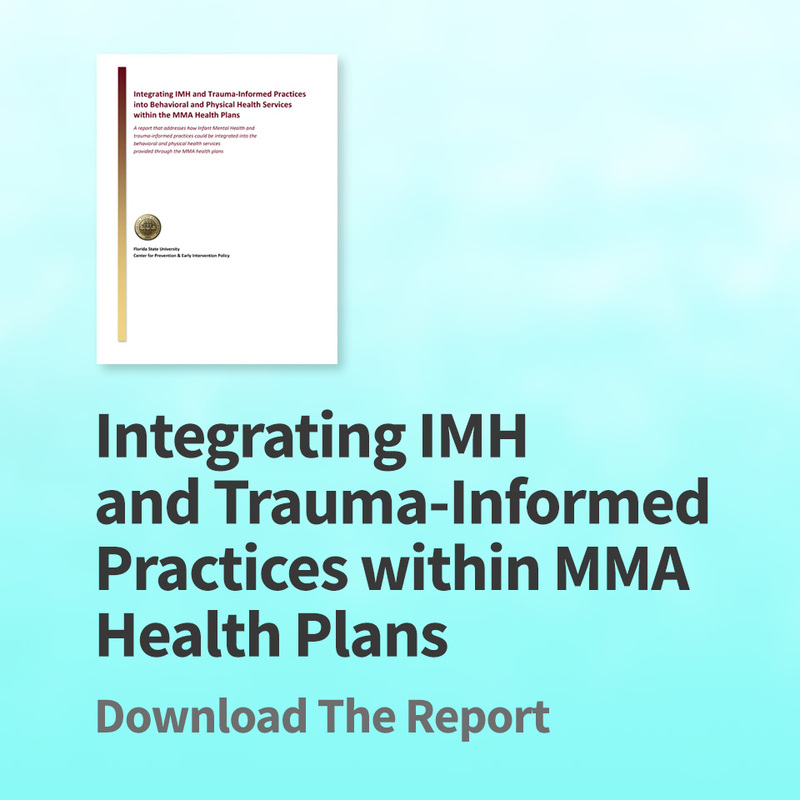 This book shows service providers how to help these multi-risk families by using an integrative model that brings together the most effective intervention techniques from a variety of theoretical approaches, parenting strategies, and innovative programs. Trickett, P.K., Noll, J. G., Putnam, F.W. Results of many analyses, both within circumscribed developmental stages and across development, indicated that sexually abused females (on average) showed deleterious sequelae across a host of biopsychosocial domains including: earlier onsets of puberty, cognitive deficits, depression, dissociative symptoms, maladaptive sexual development, HPA attenuation, high rates of obesity, persistent post-traumatic stress disorder, self-mutilation, DSM-V diagnoses, physical and sexual revictimization, premature deliveries, teen motherhood, drug and alcohol abuse, and domestic violence. Offspring born to abused mothers were at increased risk for child maltreatment and overall mal-development. Neonatal abstinence syndrome (NAS) is a postnatal drug withdrawal syndrome primarily caused by maternal opiate use. No national estimates are available for the incidence of maternal opiate use at the time of delivery or NAS. Genetic variants affect boys and girls differently. Tests correlate biochemical abnormality with deficits in rats' responses to sounds. May, P.A., Baete, A., Russo, J., Elitiott, A.J.Blankenshi, J., Kalberg, W. O., … Hoyme, H. E.
Researched to determine the prevalence and characteristics of fetal alcohol spectrum disorders (FASD) among first grade students (6- to 7-year-olds) in a representative Midwestern US community. Concludes that children who have FASD are more prevalent among first graders in this Midwestern city than predicted by previous, popular estimates. Amendah, D.D., Grosse, S.D., Bertrans, J. This paper calculates the medical expenditures for pediatric Medicaid enrollees with fetal alcohol syndrome (FAS), those with and those without reported intellectual disability (ID). Annual mean, median, and 95(th) percentile total expenditures were calculated for those continuously enrolled during 2005. Children with FAS incurred higher medical expenditures compared with children without FAS. May, P. A., Baete, A., Russo, J., Elliott, A. J., Blakenship, J., Kalberg, W. O., … Hoyme, H. E.
Learn how women of child-bearing age are at risk for Fetal Alcohol Spectrum Disorders (FASD). Understand the effects of prenatal alcohol exposure on the developing fetus and across the lifespan. The full extent of the effects of prenatal cocaine exposure on a child is not completely known, but many scientific studies have documented that babies born to mothers who abuse cocaine during pregnancy are often prematurely delivered, have low birth weights and smaller head circumferences, and are shorter in length than babies born to mothers who do not abuse cocaine. In the latest findings from an ongoing study of the effects of prenatal methamphetamine exposure on child development, primary caregivers reported more signs of increased emotionality, anxiety, and depression in exposed non-exposed children at ages 3 and 5 years. The caregivers also reported that at age 5, methamphetamine-exposed children were less able to sustain attention and more prone to act out aggressively or destructively than were non-exposed children. Greenfield, S.F., Back, S.E., Lawson, K., Brady, K.T. Gender differences in rates of substance abuse have been consistently observed in the general population and treatment-seeking samples, with men exhibiting significantly higher rates of substance use, abuse, and dependence. However, recent epidemiologic surveys suggest that this gap between men and women has narrowed in recent decades. For example, surveys in the early 1980s estimated the male/female ratio of alcohol-use disorders as 5:1, in contrast to more recent surveys that report a ratio of approximately 3:1. For much of the past century, scientists studying drug abuse labored in the shadows of powerful myths and misconceptions about the nature of addiction. When scientists began to study addictive behavior in the 1930s, people addicted to drugs were thought to he morally flawed and lacking willpower. Those views shaped society’s responses to drug abuse, treating it as a moral failing rather than a health problem, which led to an emphasis on punishment rather than prevention and treatment. Today, thanks to science, our views and our responses to addiction and other substance use disorders have changed dramatically. Groundbreaking discoveries about the brain have revolutionized our understanding of compulsive drug use, enabling us to respond effectively to the problem. Addiction can be devastating. Recent scientific advances have shaped our understanding of this common and complex problem. The good news is that there are a number of effective treatments for addiction, including self-help strategies, psychotherapy, medications, and rehabilitation programs. You can use the strategies presented in this report to discover new ways to cope with life’s difficulties. In addition to stopping drug abuse, the goal of treatment is to return people to productive functioning in the family, workplace, and community. Relapse rates for addiction resemble those of other chronic diseases such as diabetes, hypertension, and asthma. Allbaugh, L. J., Marcus, S. M., Ford, E.C., Flynn, H.A. A screening and recruitment registry was developed that included women aged at least 18 years who attended seven obstetric clinics in the University of Michigan Health System (Ann Arbor, MI, USA) for prenatal care between September8,2008, and June 9, 2011.Participants completed depression screening and research recruitment materials. The present registry could improve detection of perinatal depression symptoms and potentially serve as a model for dissemination and implementation at other sites with an interest in studying factors linked to perinatal depression. Perinatal depression, which includes major and minor depressive episodes that occur during pregnancy or in the first 12 months after delivery, is one of the most common medical complications during pregnancy and the postpartum period, affecting one in seven women. It is important to identify pregnant and postpartum women with depression because untreated perinatal depression and other mood disorders can have devastating effects on women, infants, and families. American College of Obstetricians and Gynecologists recommends that clinicians screen patients at least once during the perinatal period for depression and anxiety symptoms using a standardized, validated tool. The book elucidates the four processes of MI--engaging, focusing, evoking, and planning--and vividly demonstrates what they look like in action. A wealth of vignettes and interview examples illustrate the "dos and don'ts" of successful implementation in diverse contexts.